Torreya, a small 1950s Florida Panhandle town, is losing its men. They disappear on nights with no moon and no witnesses. Foreclosure signs appear in their yards the following day while thugs associated with the Klan take everything of value from inside treasured homes that will soon be torn down. The police won't investigate, and the church keeps its distance from all social and political discord. Conjure woman Eulalie Jenkins, her shamanistic cat Lena, and neighbor Willie Tate discover that the new "whites only" policy at the once friendly mercantile and the creation of a plantation-style subdivision are linked to corrupt city fathers, the disappearing men, rigged numbers gambling, and a powerful hoodoo man named Washerwoman. After he refuses to carry Eulalie's herbs and eggs and Willie's corn, mercantile owner Lane Walker is drawn into the web of lies before he too disappears. Washerwoman knows how to cover his tracks with the magic he learned from Florida's most famous root doctor, Uncle Monday, so he is more elusive than hen's teeth, more dangerous that the Klan, and threatens to brutally remove any obstacle in the way of his profits. In this follow up to Conjure Woman's Cat, Eulalie and Lena face their greatest challenge with scarce support from townspeople who are scared of their own shadows. 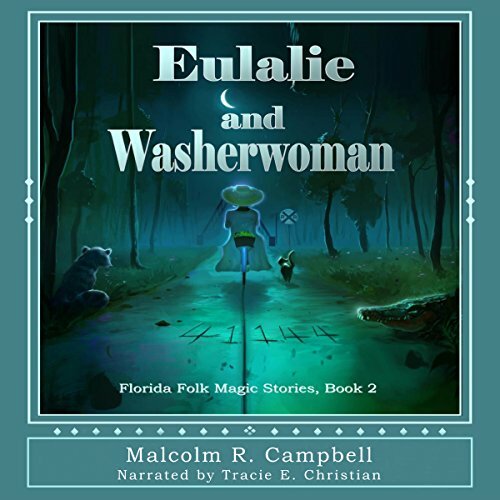 Even though Eulalie is older than dirt, her faith in the good Lord and her endless supply of spells guarantee she will give Washerwoman a run for his ill-gotten money in this swamps and piney woods story.